we are always close to you. We have more than 30 insurers. Choose the best one for you. Insurance that meets your needs and fits your budget. A space of your own. 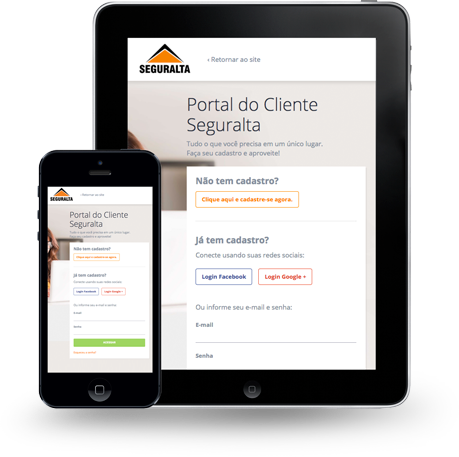 Here you can find information about your Seguralta consultant and the contracted insurer, check your policies or get a new quote. Special insurance for your notebook, smartphone, tablet, camera or camcorder.